This newly revised all-encompassing textbook is a guide to the history, beliefs and practice of Judaism. Beginning with the ancient Near Eastern background, it covers early Israelite history, the emergence of classical rabbinic literature and the rise of medieval Judaism in Islamic and Christian lands. It also includes the early modern period and the development of Jewry in the nineteenth and twentieth centuries. Extracts from primary sources are used throughout to enliven the narrative and provide concrete examples of the rich variety of Jewish civilization. 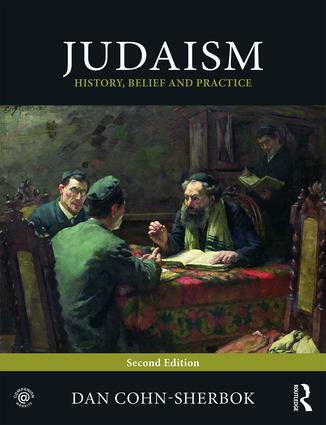 Already an indispensable resource, this second edition of Judaism: History, Belief and Practice, with its outstanding clarity and comprehensive range, has a yet stronger claim to the status of core text for any student or general reader new to the serious study of Judaism. Melissa Raphael, University of Gloucestershire and Leo Baeck College, London. Dan Cohn-Sherbok is an American-born rabbi and Professor Emeritus of Judaism at the University of Wales, Honorary Professor at Aberystwth University, and Visiting Professor at St Mary's University, London and York St John's University, UK.